MILFORD, Indiana U.S.A. -- Brock Grain Systems' PARTHENON® Aeration Floor Support has been selected as an AE50 Outstanding Innovations Award winner for 2006. The award is sponsored by the American Society of Agricultural and Biological Engineers' Resource magazine and recognizes the top 50 innovations in agriculture produced during 2005 that help to improve and enhance agricultural, biological, food and related industries. 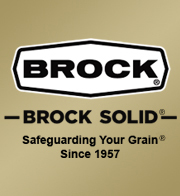 Brock Grain Systems, a division of CTB, Inc., developed the unique grain bin aeration floor support system as a part of CTB's corporate vision for Leadership Through Innovation®. Remarkably easy to install, Brock's PARTHENON Support System saves a substantial amount of time and labor during the installation process. The PARTHENON Support was designed specifically for use with Brock's TRI-CORR® Aeration and Drying Floor which won an AE50 Award in 2004. The new floor system can be used for aerating a variety of grain types, including canola. Brock's PARTHENON Support offers a load-bearing capacity that complements the strength of the TRI-CORR Floor. The TRI-CORR Floor, with its distinctive triangle-shaped center leg design, offers three times more support at the floor's crown compared to Brock's previous industry-leading aeration floor designs. The TRI-CORR Floor/PARTHENON Support System carries a five-year warranty. Brock's PARTHENON Supports are available in 13-3/4 or 18-1/2-inch (349- or 470-mm) heights for grain drying and aeration. The low PARTHENON Support offers enough floor clearance to permit the use of 10-inch (254-mm) diameter unloading systems. The aerodynamic design of the PARTHENON Support's built-in vertical column encourages efficient air flow patterns in tunnels and near aeration fans. The support's design also helps to compensate for uneven concrete flooring. Based in Milford, Indiana (U.S.A.), CTB is a leading global designer, manufacturer and marketer of systems and solutions for the poultry, hog, egg production, and grain industries. Its products focus on improved efficiency in the care of poultry and livestock as well as on grain storage, conditioning and handling. Founded in 1952, CTB operates from multiple locations in the U.S.A. and Europe and serves its customers through a worldwide distribution network. The company's web address is www.ctbinc.com.